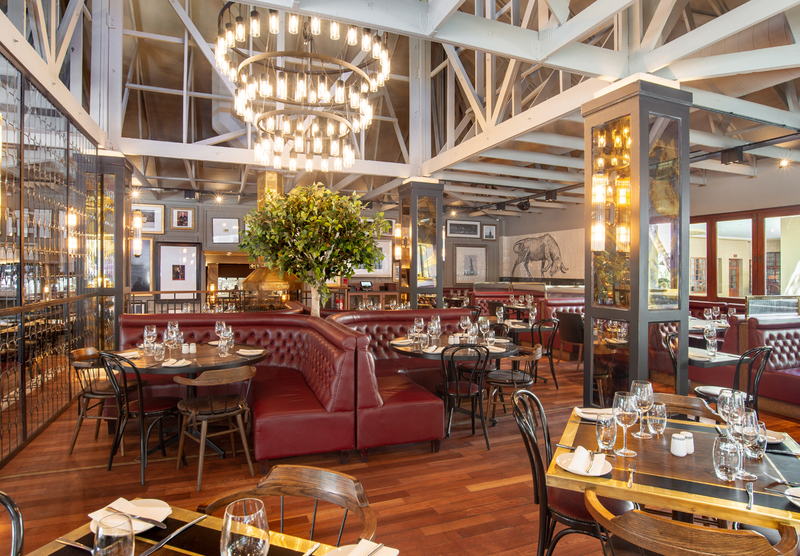 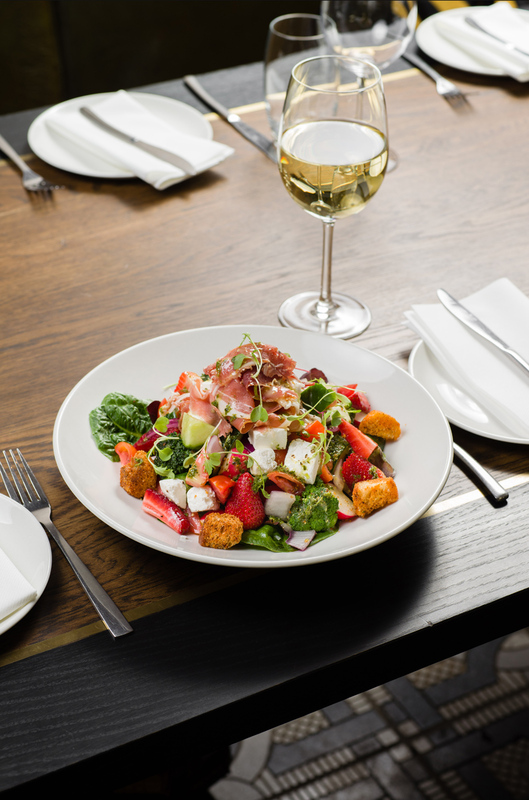 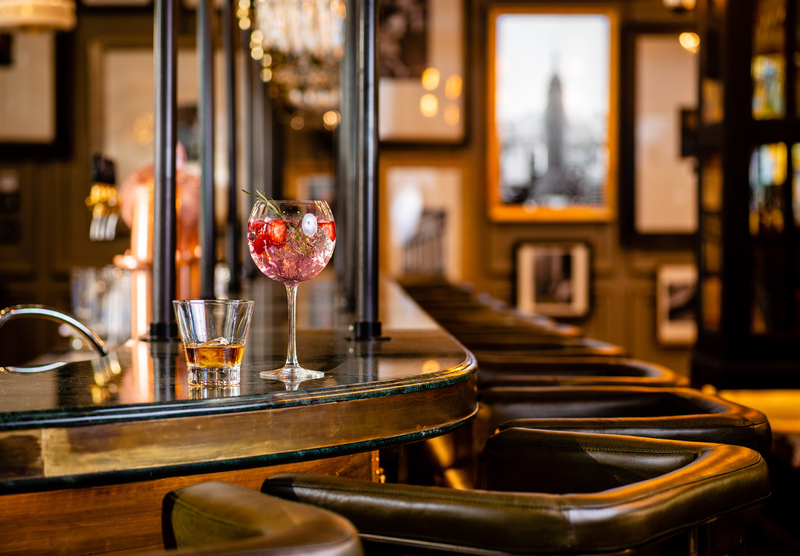 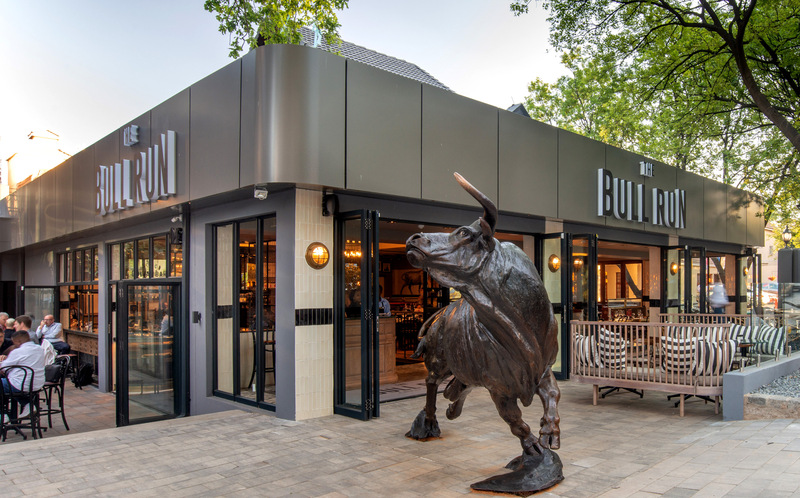 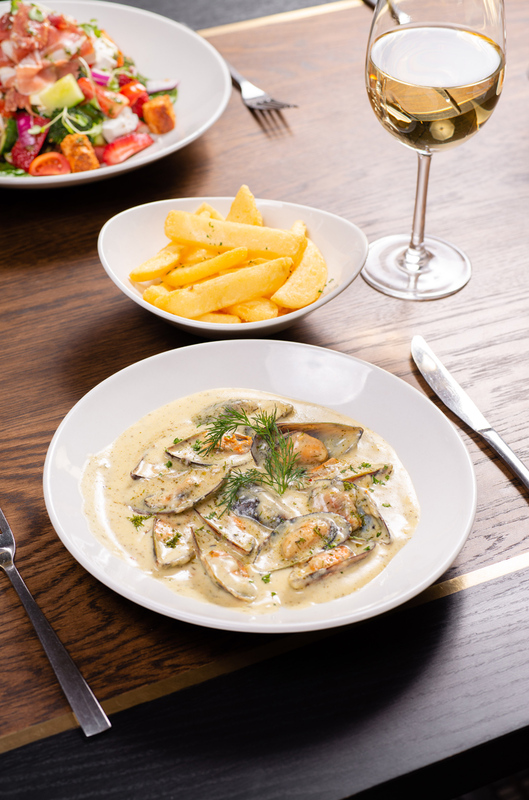 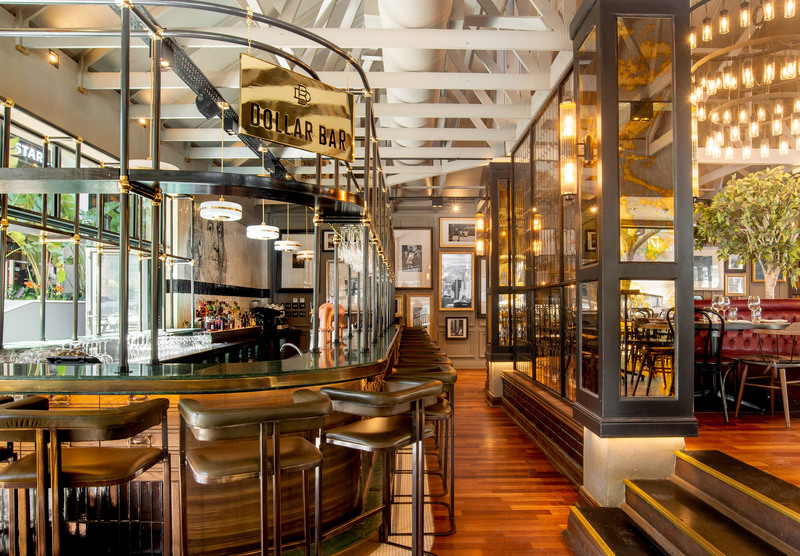 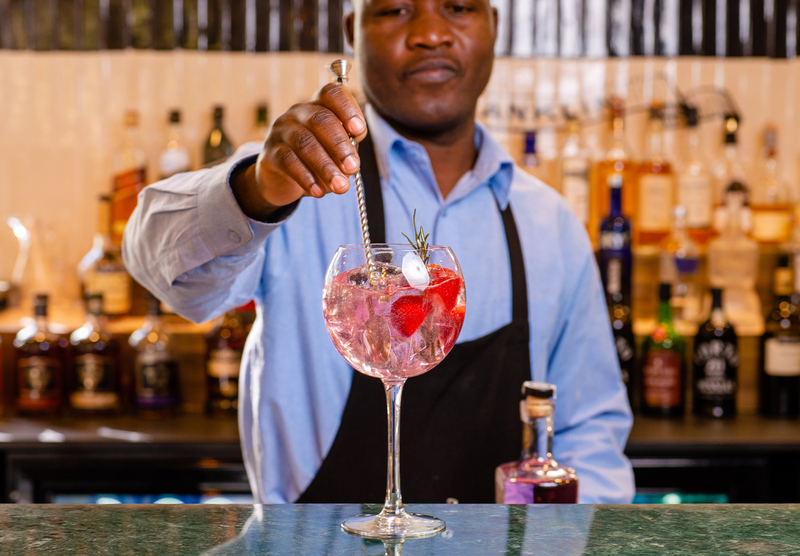 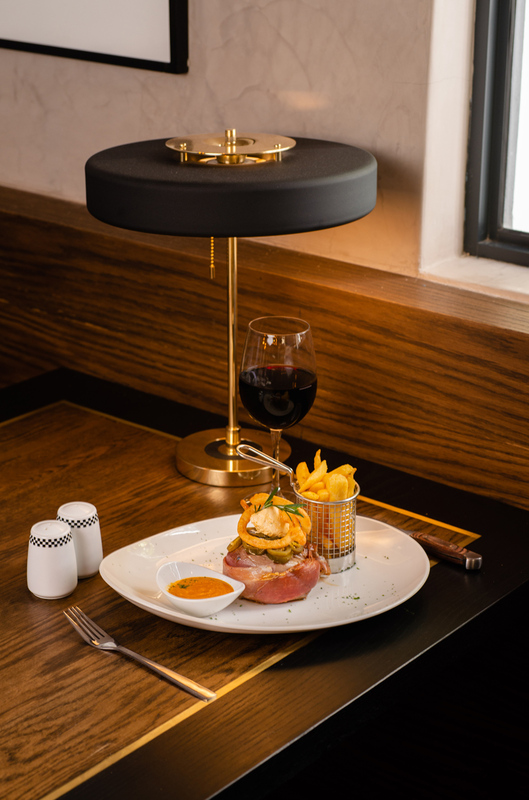 The Bull Run is an iconic steakhouse in the heart of Sandton, located right on Maude St. Over 16 years of trading, The Bull Run went through an incredible, multi-million rand refurbishment. 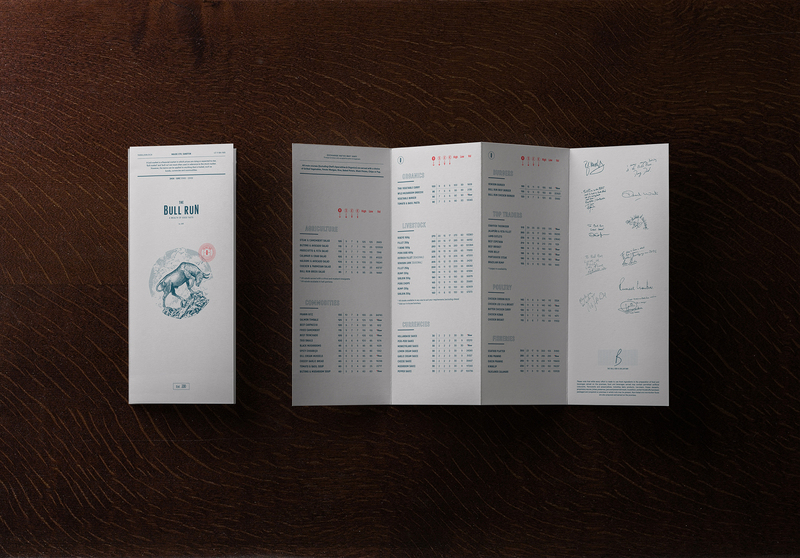 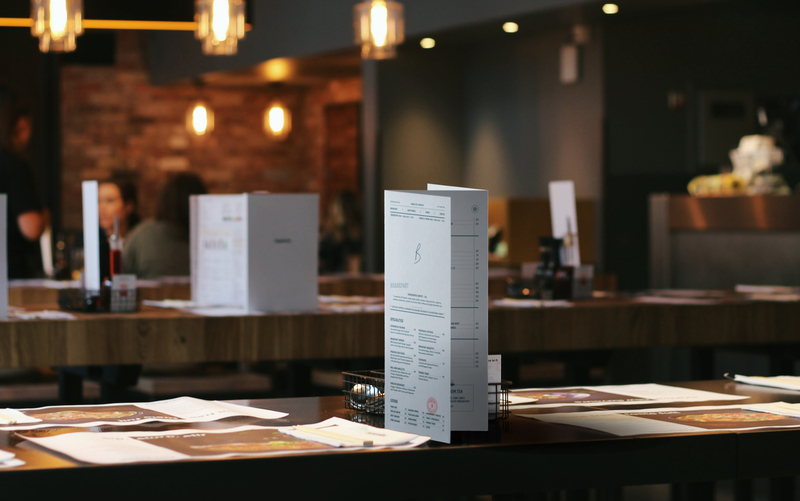 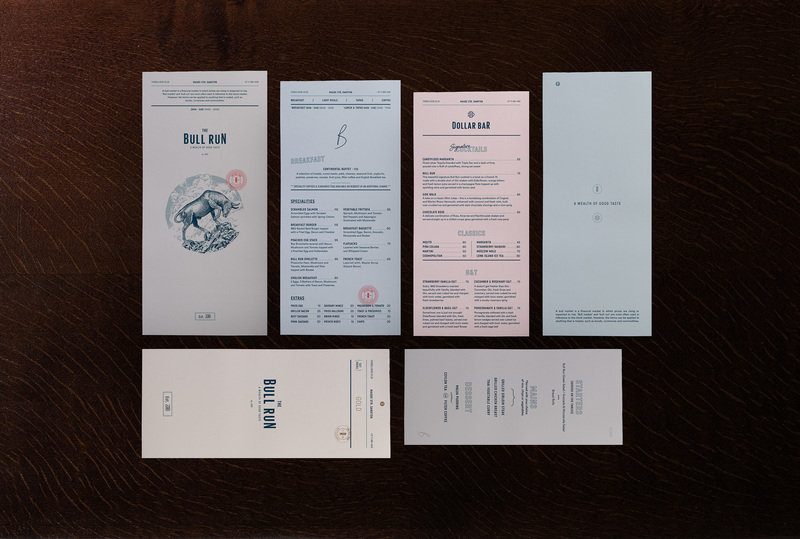 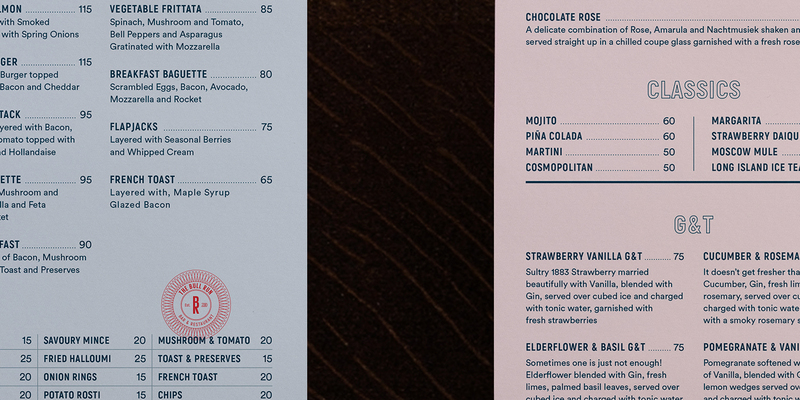 They needed a beautiful brand to accompany their new interior aesthetic and connect with local and international clientele. 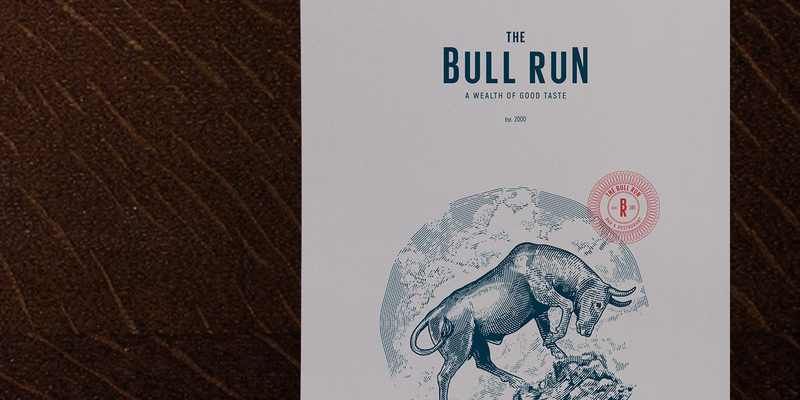 A bull run is defined by a period of time when prices rise on a financial market. 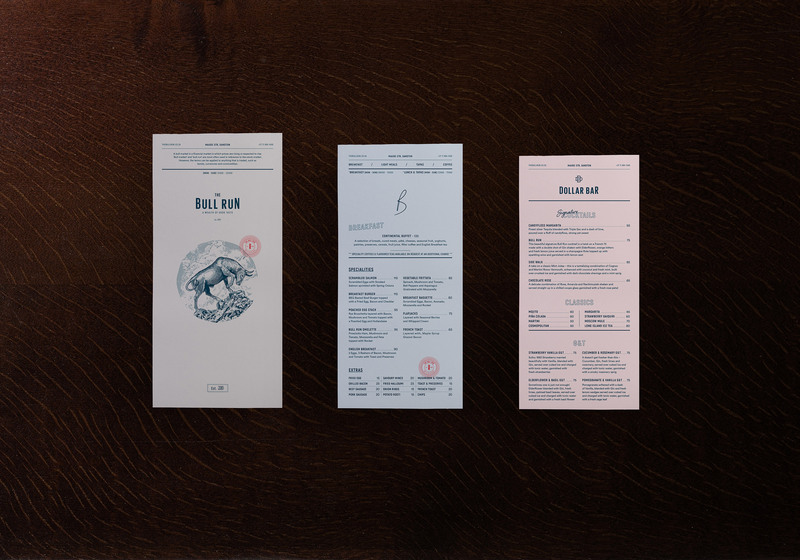 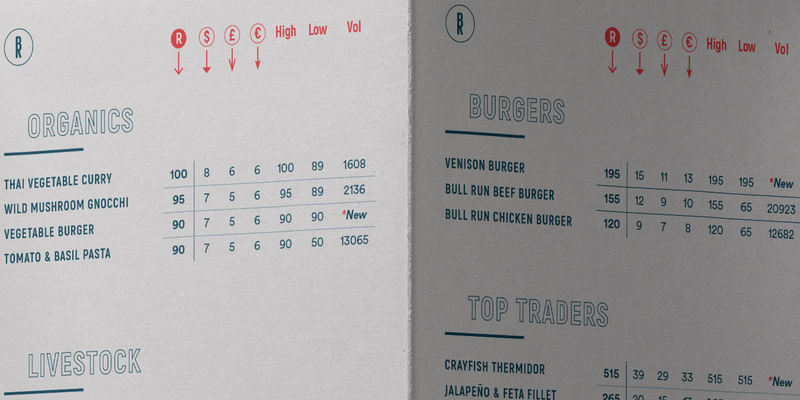 The restaurant’s location — Johannesburg’s commercial centre — informs the financial concept, that in turn inspires the brand and its roll out. 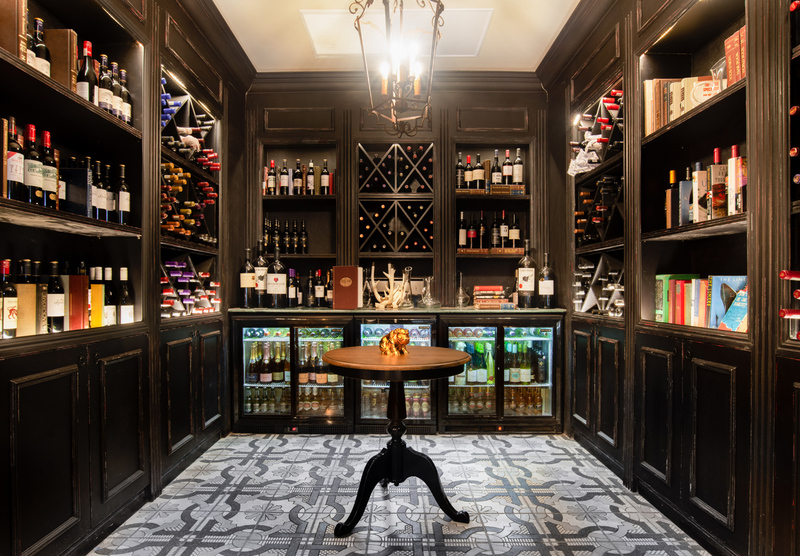 Elegant patterning and a prestigious colour palette reflect coinage and currency. The interior concept, designed by Studio A, takes inspiration from the New York Stock Exchange. 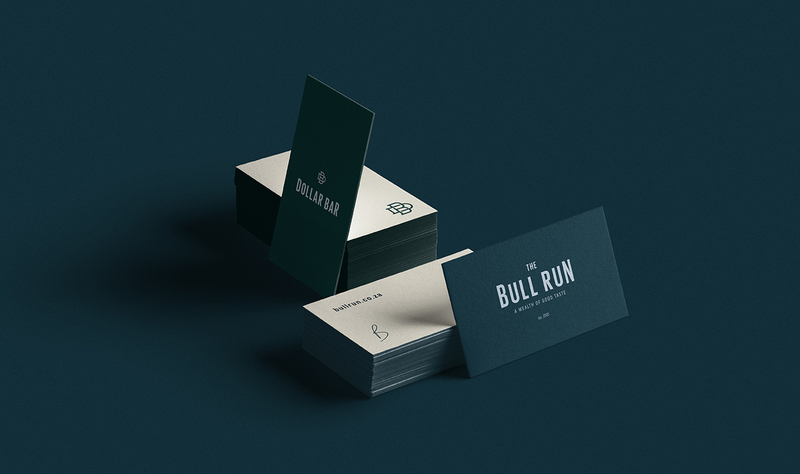 The logotype is understated and confident, guaranteed to carry The Bull Run for an indefinite future. 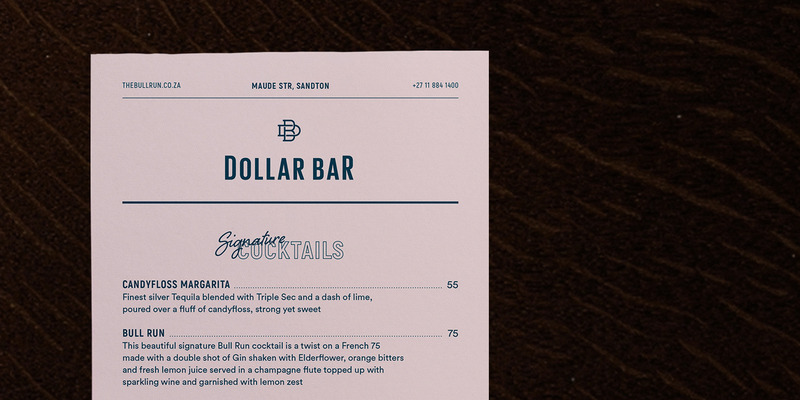 To texture the roll-out, adorn assets, create signage and communicate the in-house offering of the Dollar Bar, a number of secondary logomarks come into play.